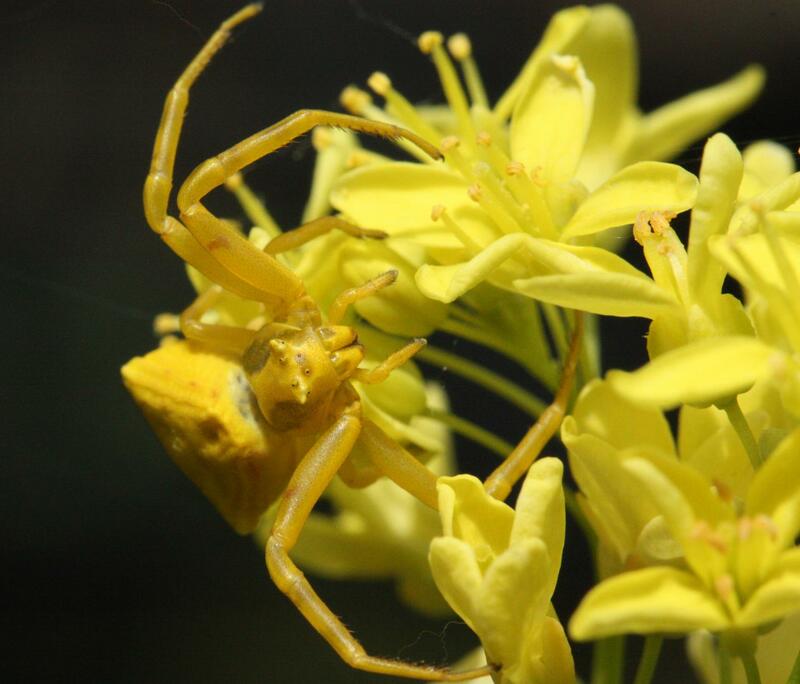 Crab spiders are predators that lie in wait for their prey on the flowers. It used to be assumed that these spiders harm the plant, because they catch pollinating insects or discourage them from visiting the flowers. The ecologists at UZH have now been able to reveal a surprising phenomenon: "Crab spiders find the plant by following the scent of its flowers. They do so using β-ocimene, the floral volatile that also attracts bees," says Schiestl. Indeed if crab spiders are sitting on the flowers, fewer bees will visit because they're discouraged by the spiders. But the spiders don't just eat pollinators. They also eliminate plant-eating insects and their larvae that feed on the flowers or fruit and damage the plant. This way the crab spiders benefit the plant, bearing out the principle that the enemy of my enemy is my friend. Apparently the benefit is so great that when attacked by florivores, the plants give off larger amounts of the floral volatile that attracts the spiders. This "cry for help" actually works: in response to it the spiders are increasingly likely to visit the flowers that are being attacked, where they find rich pickings. The study shows that the effect of interacting organisms is highly dependent on the ecological context. But in complex ecosystems the consequences can't always be predicted. This means that the disappearance of existing interacting partners or the appearance of new ones can have unforeseeable implications for individual members of an ecosystem. "For this reason it's important to better understand the interactions between organisms and their consequences to be able to apply the insights in the protection of ecosystems or organic farming," concludes Florian Schiestl.